Removals Man and Van is a trusted and reliable company with years of experience. We provide our clients with modern, safe and efficient vehicles, which are driven by experienced drivers. Our team provide a range of different services for you, because we aim to meet all of our clients' needs. Our employees are a team of friendly, enthusiastic and helpful group of individuals who are always there to help you. We will do our best to meet any special requirements or needs that you may have and will aim to make the move as stress-free as possible. Although we supply larger vehicles, which are suitable for even the very largest amount of items, we appreciate that not all moves require such a large vehicle, which is why we also offer van hire too. Man with a van services have became very popular in recent years, especially as not everyone chooses to move all of their belongings from their previous residence to their next one. It is quite common now for people to choose to do a 'part move', which means that they leave their previous home partly furnished or the majority of it is furnished and choose only to move a certain amount of their belongings. Van hire is suitable for those who are looking for a vehicle, which is larger than a domestic vehicle, yet smaller than a large moving lorry which is used for most removals. Looking for a storage space? We can help you in this area too. There are many reasons why you may be looking for somewhere to store some of your things and finding storage space can be difficult. However, we provide clean, safe and dry storage solutions, which are guaranteed to keep your belongings safe from any weather problems, damp, mould, thieves and vermin. All our storage units are well-maintained and kept in the best conditional possible, so you can guarantee that any item that you choose to store in one of our storage places, will be kept in excellent conditions from the first to the very last day. If you don't have time to keep regular checks on your belongings that you have stored, there is no need to worry; as you will not have to observe them regularly to make sure that they have not become ruined in anyway. We understand that if you are willing to pay to keep your belongings stored, then they must be valuable to you, which is why we treat every storage unit with care and provide the best storage containers available. If you choose to use our removals man and van services for London based relocation, then you can guarantee that they will know their way around and will have no problem in finding wherever you need to go. The same goes for our other drivers, whether they drive our lorries or vans, they will know their designated area inside and out, so you can feel assured that your belongings will get to the right place as quickly as possible. We deal with many different types of removals man and van for different areas, all at a reasonable price. Our services are of a high standard and we strive towards giving our clients the best service and deal for their money. It is important for us to feel confident that each member of staff, from every department knows what they are doing and are can give our clients the right advice and help. Every one of our team members has adequate experience in public relations and with relocation. We can help anyone who is looking to move a larger amount of items within the London area. We have specialist drivers who have adequate experience when it comes to driving all over London and the surrounding areas. Removals man and van services, which are suitable for anyone who needs a professional company to transport their belongings from and to any area of the UK. No distance is too much for us and we will be there for you and ready to help you, even if you are looking to move your items to one end of the UK to the other. Van hire services specially for the London area. We offer Man with Van services, which come with a professional and experienced driver who can transport your goods to any part of London. This is ideal for those if you who need are not in need of such a large vehicle, but still need to hire additional help. Man with Van UK, is a service like the van hire London service, where one of our qualified van drivers will transport your items to anywhere within the UK. If you don't have the time or energy to pack up your possessions, then leave it to the professionals. 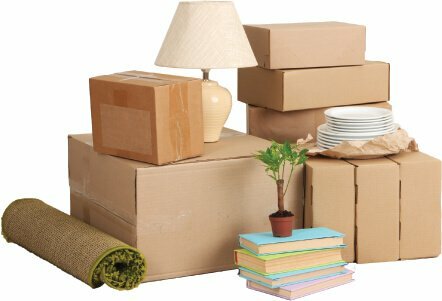 We can provide all of our own packaging, boxes and labels and then pack up all of your items that you wish to move. Our team are fast and efficient and will pack your things neatly and organised in no time at all. And Storage Facilities, for anyone looking to store their belongings in a clean, dry and safe space. Our trusted storage containers are perfect for anyone who is looking for short or long-term storage solutions. We provide both van hire services, as well as the standard removals for relocating with a large amount of items. We understand that sometimes a big relocation vehicle is not needed for some situations where a client doesn't have so much to move and therefore, we give them the option to hire a van along with a professional driver, who has experience in driving larger vehicles. We are always hear to help and want to hear from you. Whether you have a question or a problem, call today and talk to one of our friendly members of staff, who will be able to help you with all of your problems. If you have already decided that we are the company for you – then pick up the phone and get your free quote today! and start your new journey with us!